« What did the Victorians do before Starbucks? 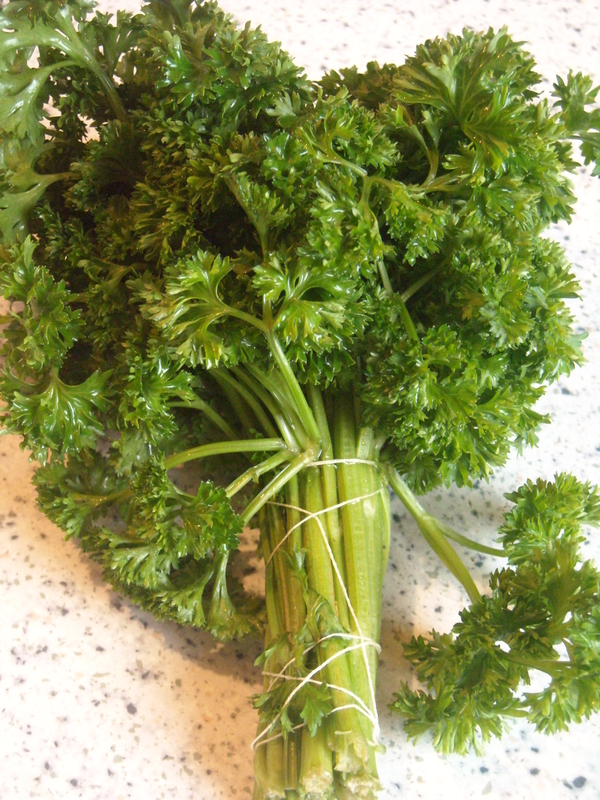 Often when I go to the local market, I’m offered a big wad of parsley. Occasionally, I’m at a loss to know what to do with it. (Well, it’s not that so much, but I’ve got a fussy boyfriend who has a disconcerting tendency to exclaim ‘What’s that green thing in there?’ with a suspicious furrowing of the brows whenever I use a fresh herb too obviously or abundantly in a dish). I’m determined not to let another bunch go to withered waste at the bottom of the fridge. Thanks to Mrs Beeton, I think I may have struck upon a solution. 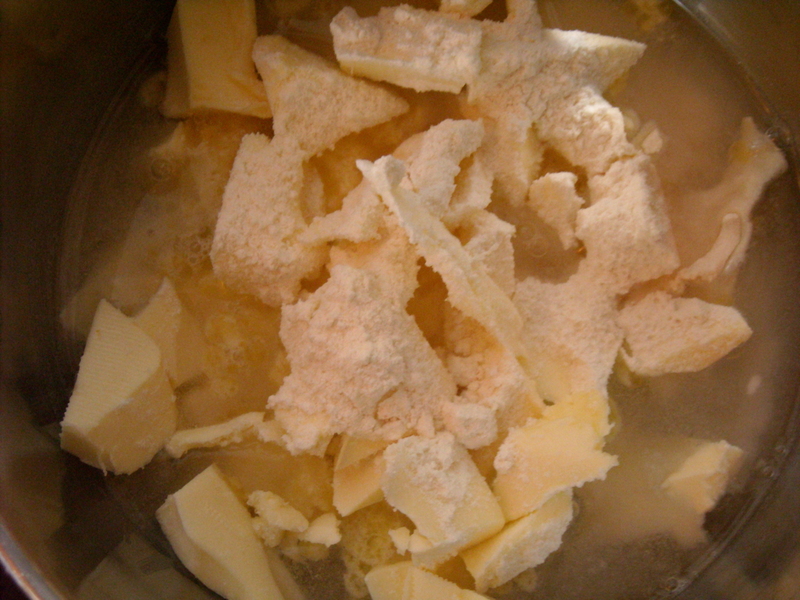 Step 1 – Melted Butter: INGREDIENTS – 1/4 lb. of butter, a dessertspoonful of flour, 1 wineglassful of water, salt to taste. 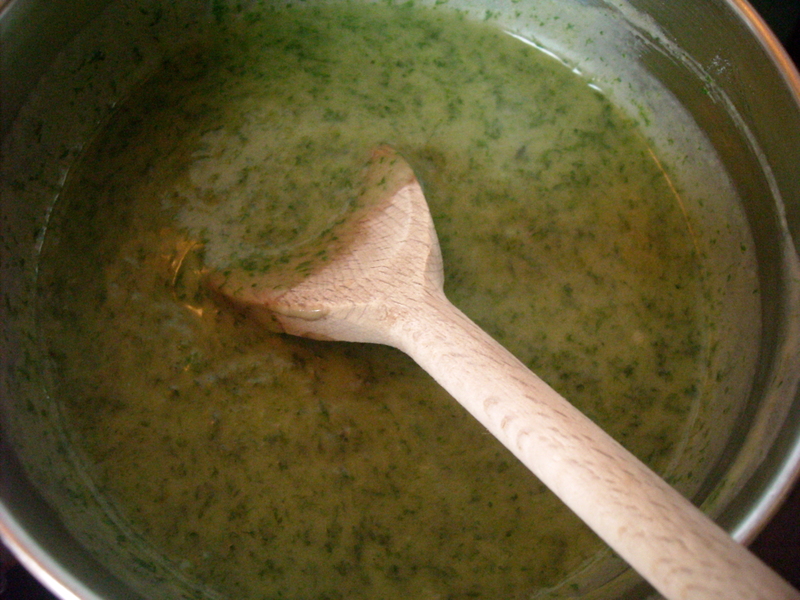 Step 2 – Parsley and Butter: 2 tablespoonfuls of minced parsley, 1/2 pint of melted butter No. 376 [i.e. Step 1 recipe]. Well, I’d like to say oh how difficult this was, that it was a terribly complex task requiring dedication, great skill and care, etc., but I’d be lying. Or still asleep. This is a simple recipe and, what’s more, very speedy on the preparation side, especially when the melted butter mix has been put together and ready to be added. 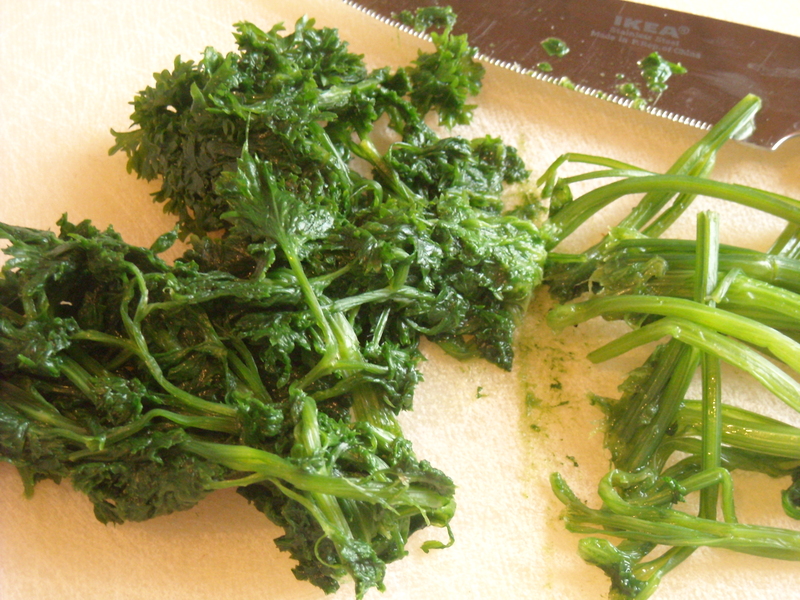 Once the parsley was boiled (5 minutes), it needed to be finely minced (I took extra care to make sure the herb was very super finely minced with a fork, to avoid my boyfriend pointing out ‘green bits’ when it’s served…) and added to the melted butter mix. 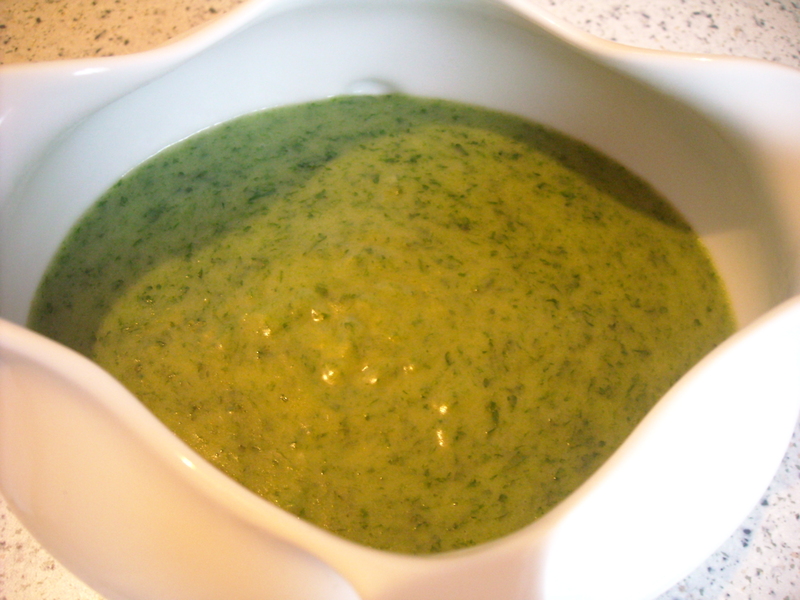 The resulting sauce (I use the word lightly – it’s really just green butter, in my opinion) looks a wonderfully fresh, creamy green flavour enhancer, with no obvious ‘parsley bits’ in sight. 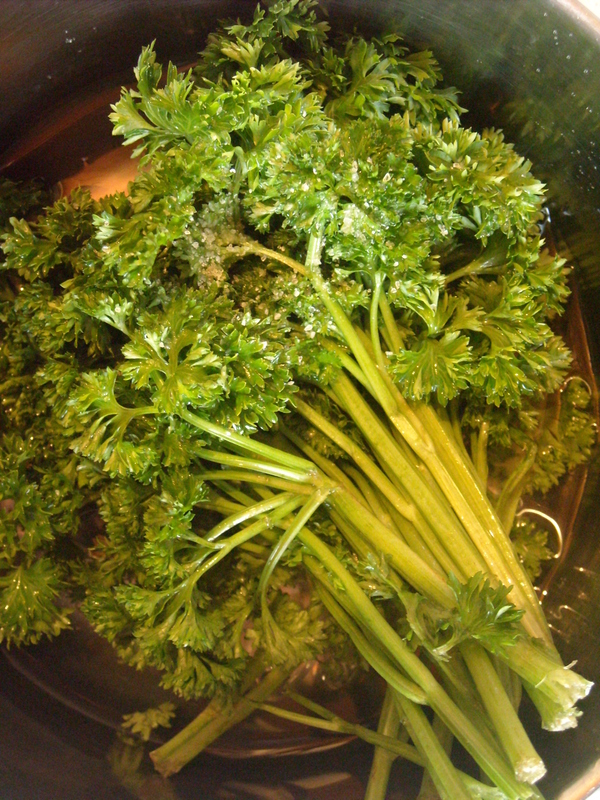 My tip: Once the parsley is boiled, keep the left-over green water and use it in a homemade stock or soup. This entry was posted on April 11, 2010 at 8:14 am and is filed under food. You can follow any responses to this entry through the RSS 2.0 feed. You can leave a response, or trackback from your own site.